Cherry Hill, NJ, Dec. 4, 2018 – Corcentric, a fast-growing provider of procurement and financial process automation solutions, today announced it has secured a $200 million senior credit facility. The capital raise consists of a $150 million senior secured asset-based loan revolver from Bank of America and JPMorgan Chase and a $50 million term loan from TCW Asset Management Company, LLC. Stephens Inc. served as exclusive financial advisor to Corcentric in this transaction. 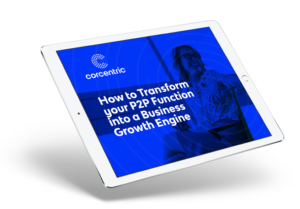 Corcentric’s services and technology reduce operating costs for middle market and Fortune 1000 companies. In March, the company rebranded with AmeriQuest Business Services under the Corcentric name. The move signaled a unification to provide unparalleled accounts payable, billing, and procurement solutions to over 6,000 trusted partners. “Our new credit facility represents a key step in the execution of our strategic plan under the Corcentric brand,” said Doug Clark, founder and CEO, Corcentric. “From our early days to today, our DNA continues to be about providing a competitive advantage to our customer by enabling them to free up working capital and reduce expenses so they can fuel more growth. The credit facility will be primarily used to support future growth both organically and via acquisitions both in the US and abroad.